When you need to supplement your current roleplaying armor with new pieces, be sure to check out the Ratio Armour Package 2. 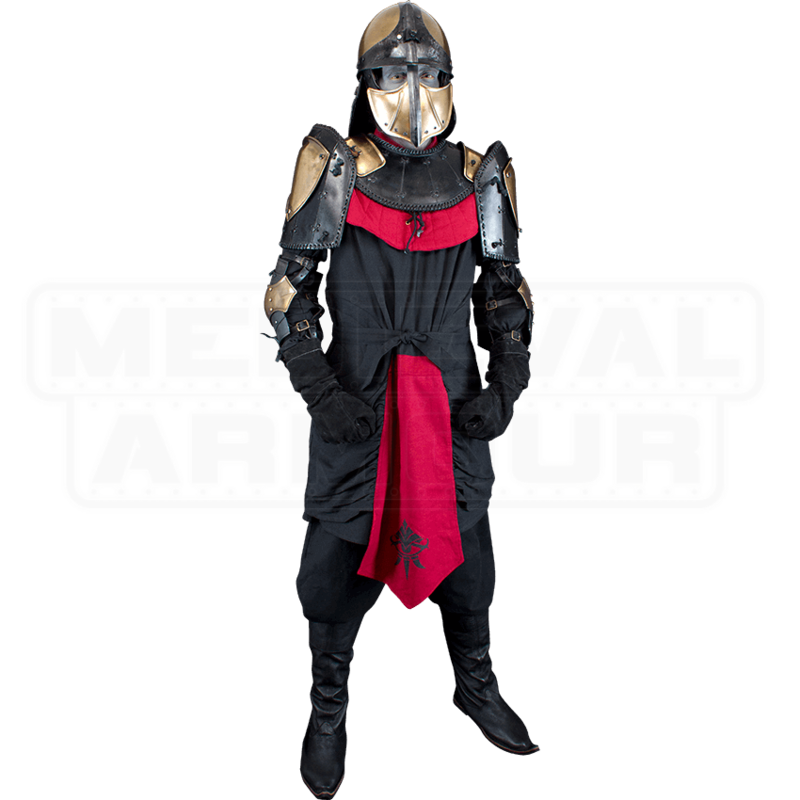 This armor package finds the happy middle between our heavy and light Ratio armor deals. 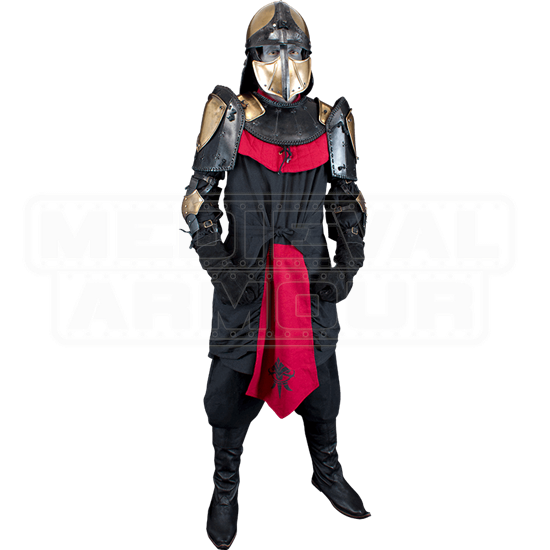 The armor set includes a striking red and black tunic, a helm, and arm and shoulder protection. Made from 19 gauge galvanized mild steel, the metal armor pieces and helm display brass and black finishes for a great look. Top-grain leather fittings help to fasten the pieces together. This armor package deal makes a great contribution toward Asian and Roman warrior ensembles. The Ratio Armour Package 2 is licensed ConQuest armour. ConQuest is the biggest LARP gathering in Europe.